The Austin Cotton Denim Apron collection is part of the Urban Apron collection and features a complete range of apron styles crafted in 10 oz cotton denim. The fabric has been enzyme washed for an edgy, fashion forward look whilst retaining the durability attributes of denim. The collection features reinforcement on all stress points for added strength. 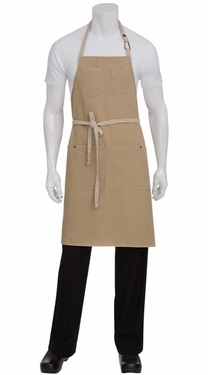 The bib aprons feature an adjustable neck with a carabiner closer.